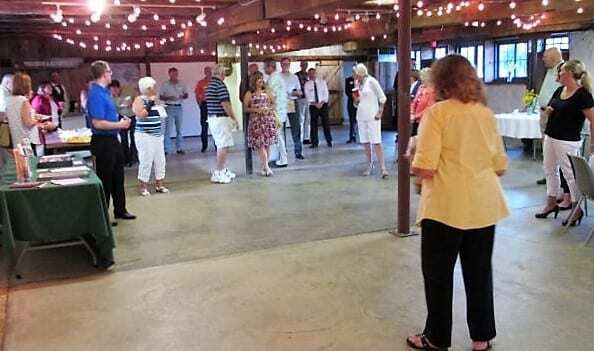 The Delaware Area Chamber of Commerce‘s “Business After Hours” was held at The Barn at Stratford. 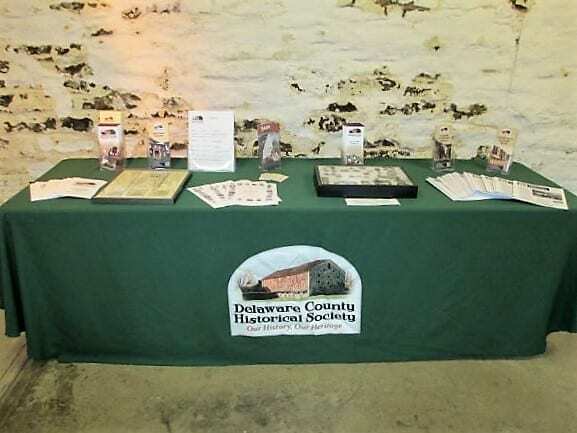 We were pleased to host the 35 Delaware area business people who joined us for the affair. Having these local businesses here gives us the opportunity to show off our historic 1840s Stone-End Barn and 1820s Meeker Home. Chamber of Commerce groups hold “Business After Hours” events around the country. Light food and beverages create perfect atmosphere for members and guests to mingle and get to know each other. “BAH” events spotlight the local areas attractions and services. 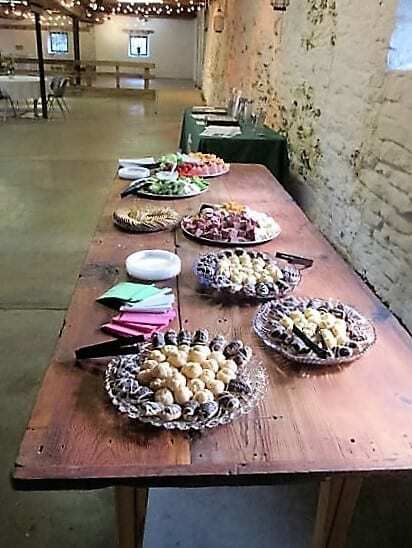 A lovely table of finger foods was provided by the Delaware Community Market. Desserts provided by Donna Meyer from the Meijer Delaware Store. 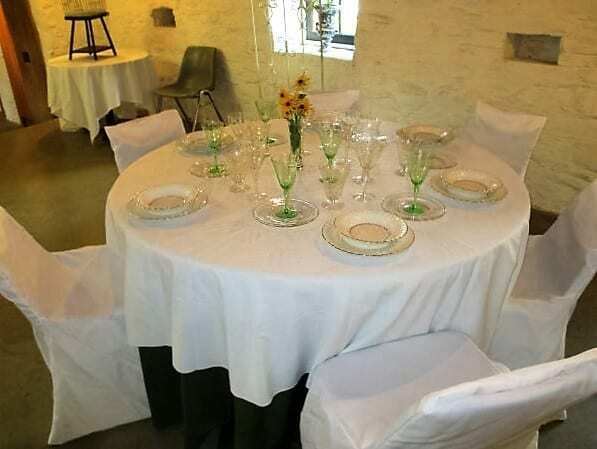 The Barn’s stage area held an elegantly set dinner table. 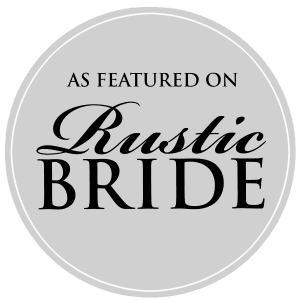 The setting shows how to beautifully blend formal styling with the rustic history of the barn’s ancient walls and timbers. 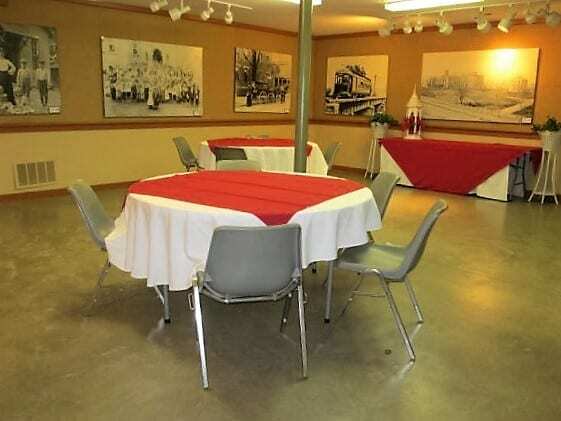 T he walls of the Barn’s West Gallery display a collection of historic photographs. Large size scenes of Delaware living surround the large room. 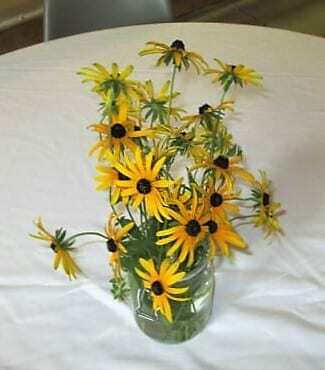 The Society retrieved these wonderful images from Meijer Stores when redecorated their Lewis Center Store. Once the group had assembled and relaxed, Historical Society Executive Direction Donna Meyer welcomed the guests. Donna then gave a short history of how the Society came to receive the Meeker Homestead with it’s historic house and barn. Donna Meyer conducted the group on a tour of the newly opened Meeker House Museum and the historic The Barn at Stratford for the guests.